Most of us are used to being able to search for a specific phrase in Google by putting the phrase in “quotation marks”. This is a simple thing to do, and very useful for narrowing down searches. In databases you can use Boolean search terms such as ‘AND’, ‘OR’, etc. These are also mostly self-explanatory – with the caveat that you NEED TO USE CAPITALS or else they will not work. 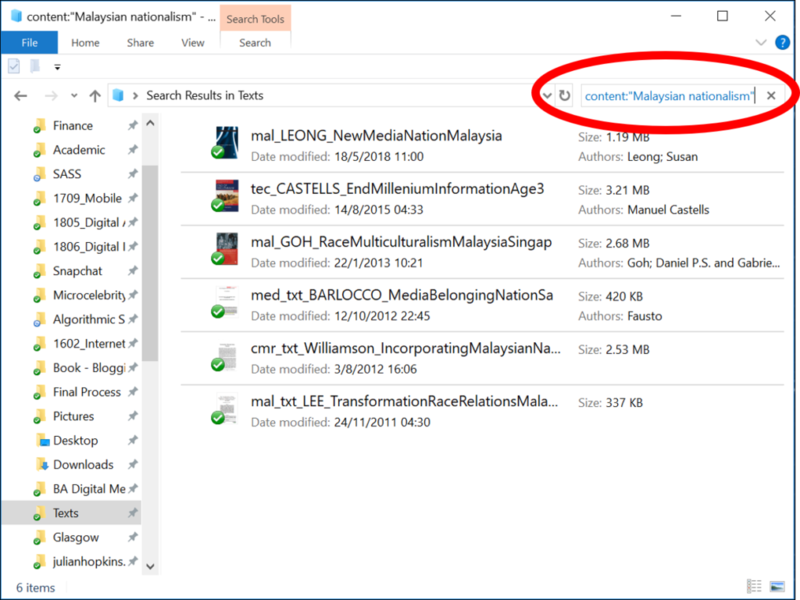 What is not so obvious is how to search for a phrase in Windows Explorer. It is quite simple, but not at all intuitive. As usual, there are answers out there, and I found a forum post by a certain ‘robarthur’ with the explanation.